The Cross! - Whose Cross? 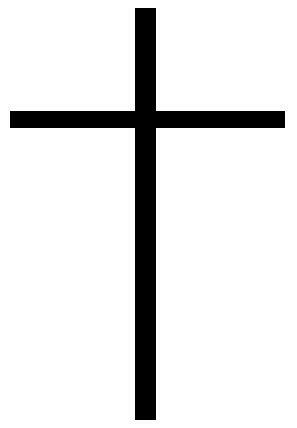 The Cross!!! - Whose Cross??? Did Jesus complete the Salvation Process for Christians (Believers) through His suffering and death on “His Cross” so that there is nothing more that the Believer must do in order to make Heaven their everlasting home? Is it an absolute necessity that all those who call themselves “followers of Jesus” (Christians) embrace (hug) “the cross” that God has designed especially for them? In other words is suffering for Jesus (and doing it with joy) a necessary part of being saved? So what did you think about that beautiful testimony of God’s “grace and mercy”? Well I don’t know about you but I get Holy Ghost goose bumps every time I read it! I mean even though Sister Carol’s father was one of those “Christians” who ignored God’s calling to “take up your cross and follow Jesus”, Father God gave him one last chance to get it right. And of course what it took for him to “get it right” was his uncompromising determination to depend on Jesus (lean on Him) throughout the five long years of dying to his flesh – cancer – in order to be resurrected and born-again in God’s Spirit. I mean how many Christians would ever believe that God would require them to “hate” their family in order to be obedient to His Word? Well if there was ever a “Word of God” for a Believer to be “ashamed” of, that one has got to be it! How bad do you really want to get to Heaven? Are you willing to be crucified with Christ? Are you willing to take up your cross and follow Jesus? Sustain your heart, and nerve your arm. To save your soul from death and hell. May hope to wear a golden crown.